I had to travel back home to the UK recently to visit my mum who hasn’t been very well and wanted to take something small to knit on the plane. I had two balls of Rowan Fazed Tweed and thought that if I added one or two more balls I could make a cosy cable cowl……you know, the ones you wrap around your neck twice, also called an infinity scarf. 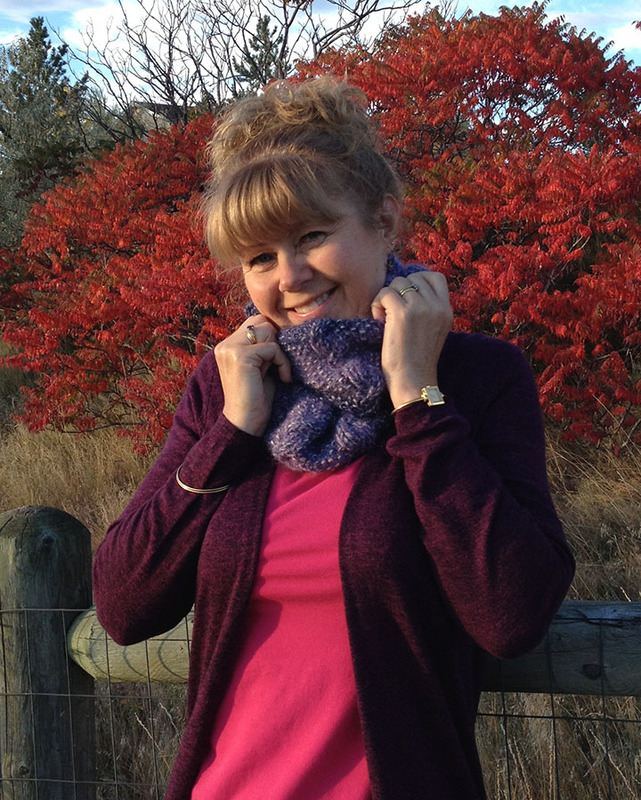 One week later this is what I had come up with…..
My cowl feels lovely and soft, cuddly and warm around my neck. And the reason it feels so soft is because Fazed Tweed contains alpaca, a fibre that I find is very comfortable next to the skin but also warm and lofty. 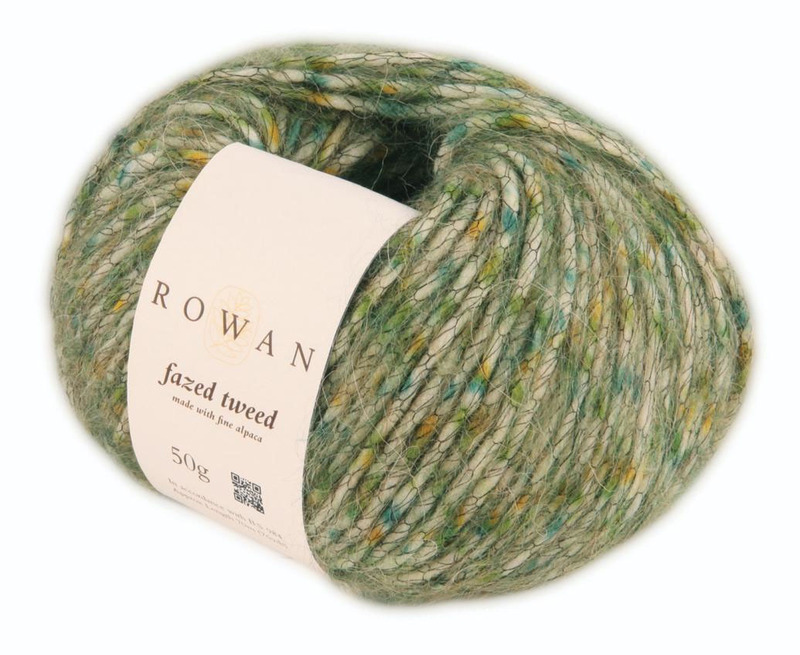 Fazed Tweed also contains wool, in fact it consists of 72% wool, 22% alpaca and 6% polyamide. The polyamide part is a special net-like tube that holds the blended fibres together. You can see it in the picture below but when the yarn is knitted it becomes less obvious and almost disappears. It is fairly easy to knit with and a relatively quick knit too on the recommended needle size of 6mm (US 10). However, if you have to frog for any reason it is a little tricky as it is a fluffy yarn and all the fluffy fibres lock together; just pull gently and slowly rather than tugging at the yarn vivaciously if you have to rip it back. The two balls I already had were in the lovely purple shade Sycamore (003) and when I got to the UK I popped into John Lewis and bought two more balls in a slightly lighter purply-pink shade called Maple (001). I thought these two shades would go well together using the darker shade on the cast on and cast off edges. In designing my cowl I first considered the stitch pattern; I knew I wanted cables but I also wanted it to be reversible. So I opted for a ribbed cable on a moss stitch background taking 8 stitches each (a repeat pattern of 16 stitches). I then decided on the size of the finished circumference and width. I worked out the number of stitches I would need to cast on if I knitted it in the round with the cable/moss stitch pattern I had settled on and how many rounds I would need to attain the width. So, all I needed to do then was to knit it up! You could of course chose to make it in just one colour or maybe four different ones. 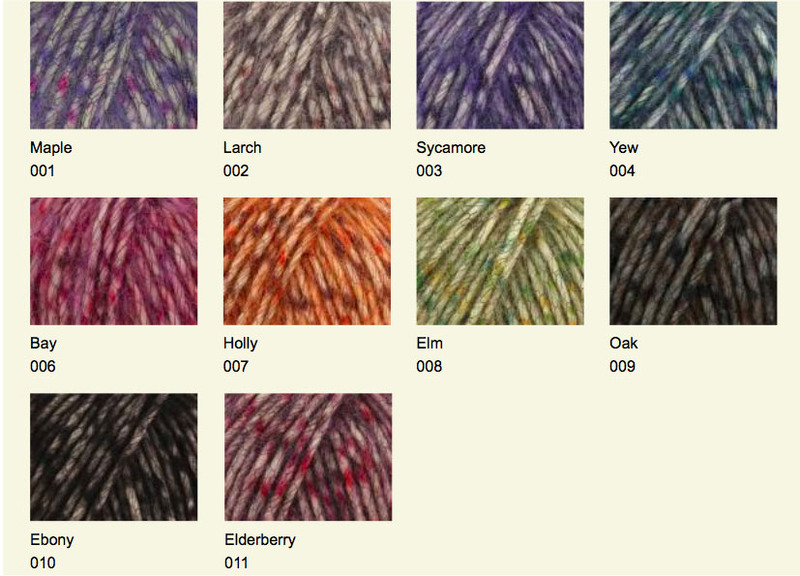 Here’s all the Fazed Tweed shades……………. 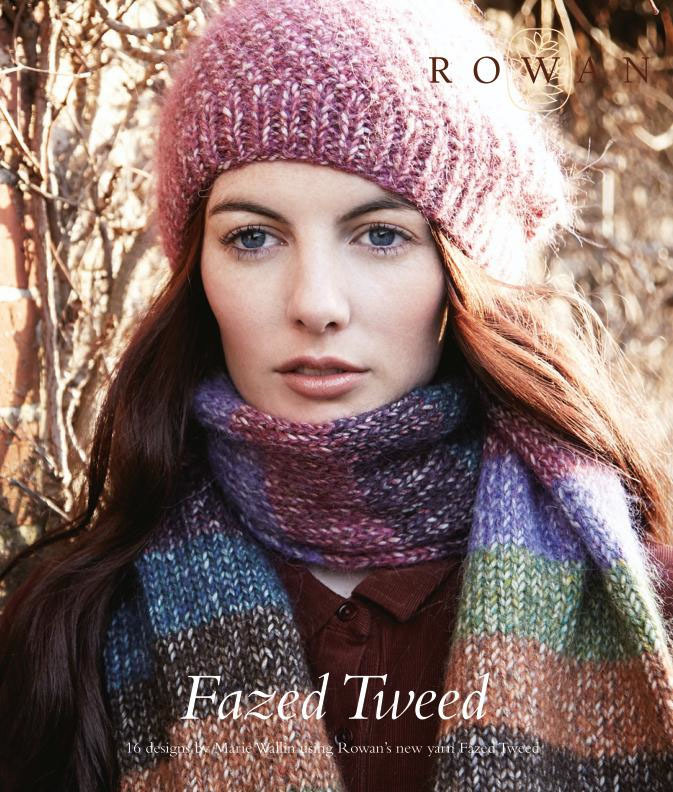 Rowan also have a pattern book to accompany this yarn, also called Fazed Tweed, containing 16 patterns for women all designed by Marie Wallin. 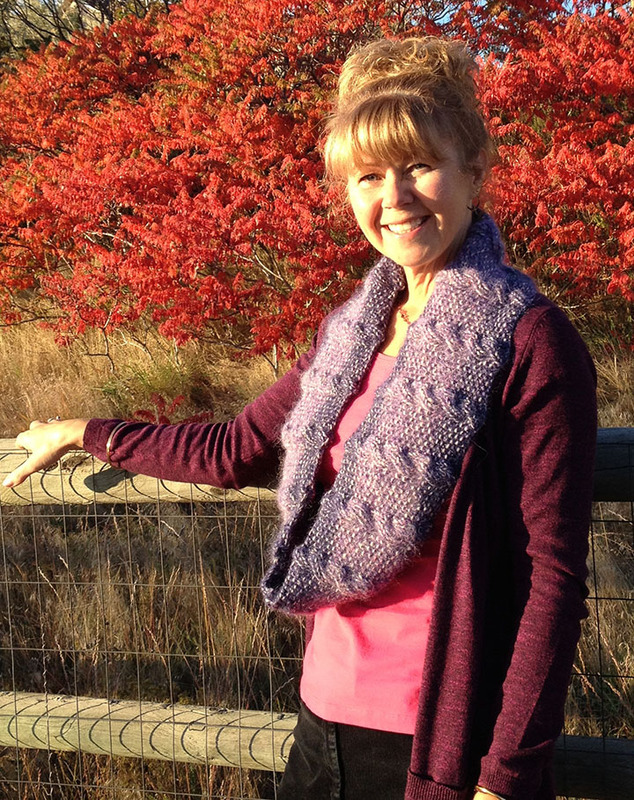 Choose from hats and scarves to cardigans and sweaters all knitted using cable and tweed stitches and colour blocking. 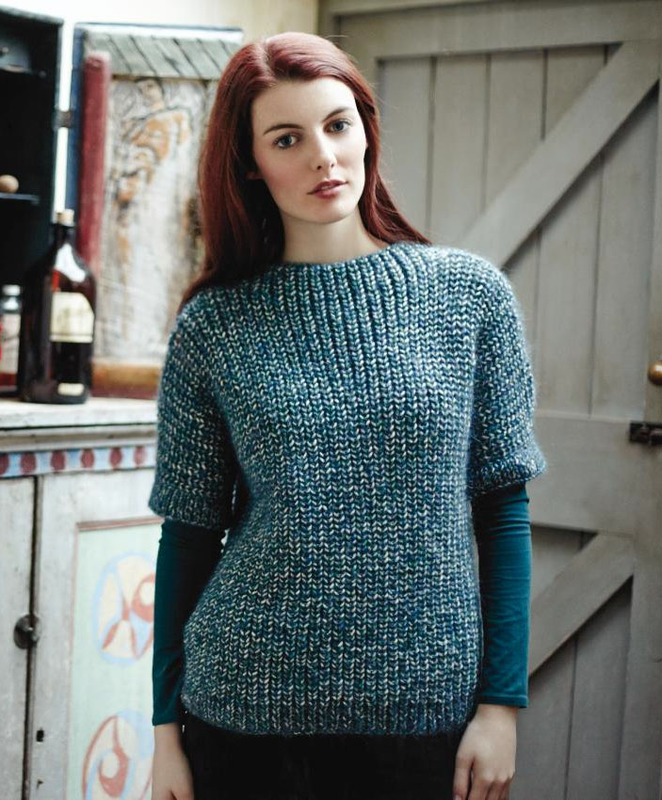 I would love to knit Sinead, a reversed stocking stitch and cable cardigan………. 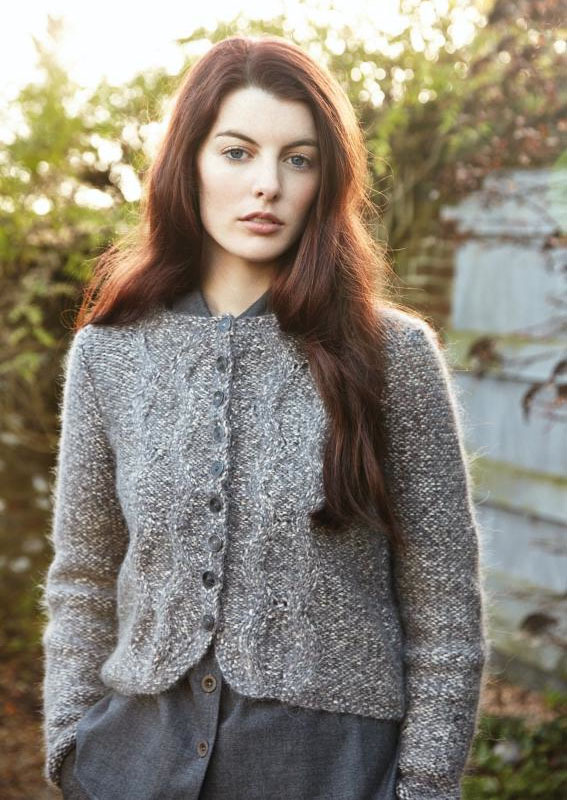 Or maybe Aideen, a round necked cardigan with lace panels up the front and garter stitch raglan sleeves and body………………. Maybe you have already knitted something using Fazed Tweed; I would love to know your thoughts; please leave a comment at the bottom of this post. 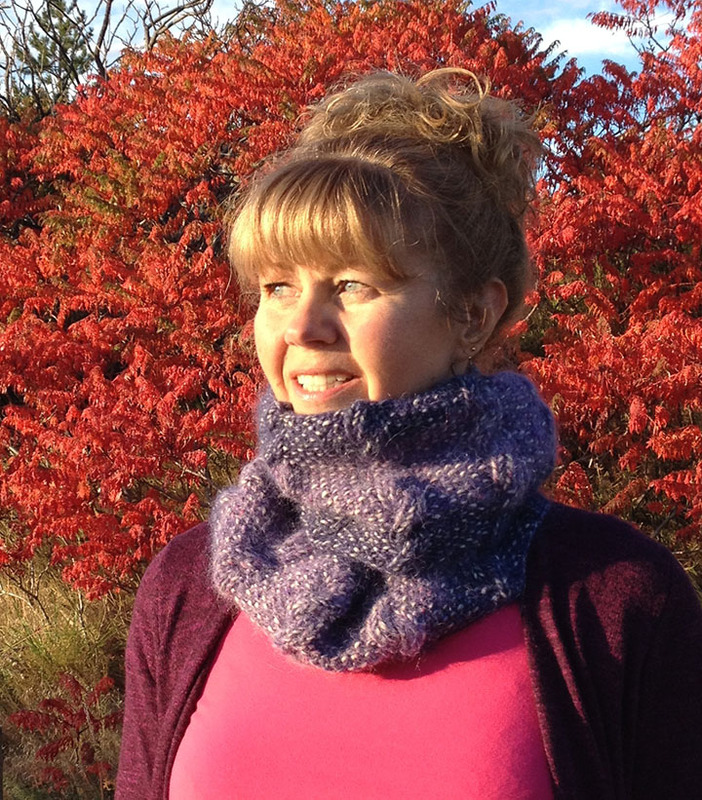 The pattern for my Cosy Cable Cowl is available on Ravelry along with my other designs.